Carving a position in the industry, we manufacture & supply a wide collection of Decorative Handmade Papers. This range is widely appreciated for its high quality as it is made from supreme quality material. Our products are available in the market at industry leading prices. We excel in manufacturing & supplying a wide array of Marbled Handmade Papers. 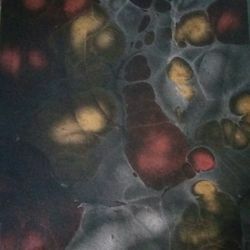 These Marbled Handmade Papers are widely demanded by the clients for their beautiful prints and design. The offered products comes with fine texture and available in various colors. Our products undergo stringent quality checks before being introduced in the market. Moreover, we assure to offer a damage free array of Marbled Paper Patterns. The most beautiful array of Traditional Marbled Papers is offered to our prestigious clients. These products are available in various sizes and designs that can be customized to meet the requirements of the clients. Our products contains traditional appearance and suitable to fulfill the needs of packaging industry. Our Traditional Marbled Papers are available in various colors, sizes and thickness. 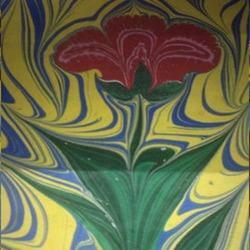 These Marbled Handmade Papers are widely demanded by the clients for their beautiful prints and design. The offered products comes with fine texture and available in various colors. Our products undergo stringent quality checks before being introduced in the market. Moreover, we assure to offer a damage free array of Marbled Paper Patterns.